While Gracie Jiu-Jitsu Victor is well known for the quality of its group classes, some people prefer to start or complement their training with private lessons. Private classes enable the instructor to teach the lessons in the order that will optimize learning and to adapt techniques to suit an individual’s strengths and weaknesses. 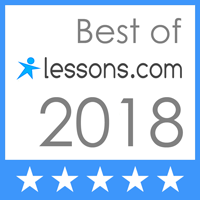 Each private lesson begins with a review of previously learned techniques, followed by the introduction of 2-3 new techniques. Once you fully understand the new techniques, the instructor will show you how to combine them with previously learned techniques in a series of Reflex Development Drills. This process continues until you have mastered all the techniques in the module. Your private sessions will be based on one or more of the programs below. Click on the appropriate button to find out more. Private classes offer maximum flexibility with training available daytime, evenings, weekdays, and weekends... if it's convenient for you, it works for us. If you’re eager to learn Gracie Jiu-Jitsu with maximum efficiency, private training is for you! To take your first private lesson simply click the button below.